I am reminded daily of the importance of personal learning networks to be introduced to a variety of resources. Let’s face it. We don’t have time to discover all the goodness that is out there on our own. This link to Flat Connections was shared with me by Edna Phythian. Flat Connections is dedicated to Global Learning. Julie Lindsay, recipient of ISTE’s 2013 Making IT Happen Award and co-author of Flattening Classrooms, Engaging Minds, is at the helm of Flat Connections. I have been interested in Connected Learning for over a year now, and not only does it remind me to refocus my practice on what really matters, it also affirms my natural instincts as an Educator Innovator with the National Writing Project. As an educator, more specifically an educator passionate about transforming education as a whole in order to grant access to ALL learners to relevant, meaningful learning experiences, I understand the importance of being able to state my beliefs, my values, and most importantly, discuss my practice in an open manner to help facilitate change. 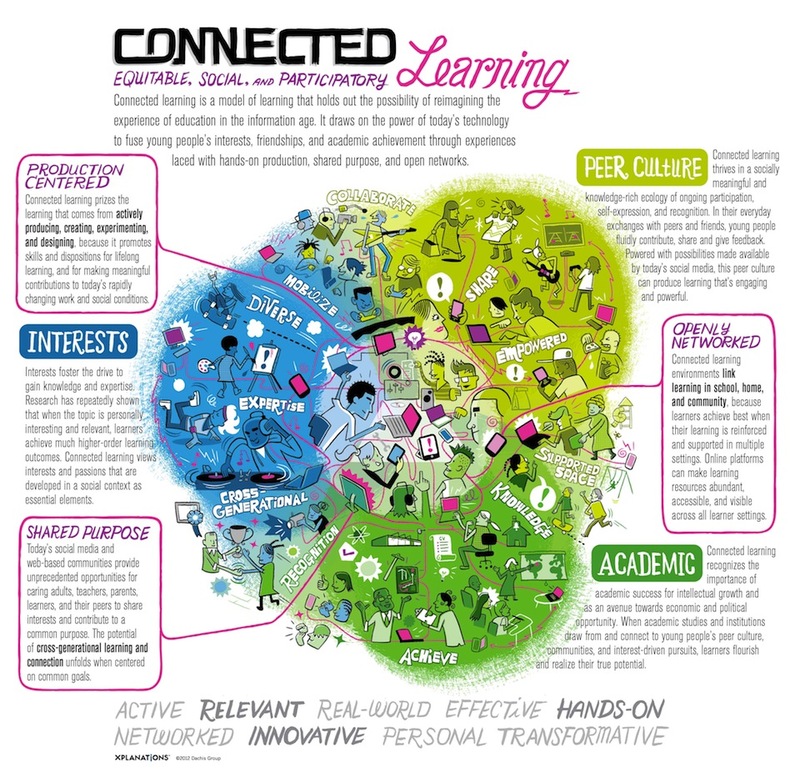 So whatever you name it: Flat Learning, Global Learning, or my personal favorite, Connected Learning, just name it! Own your practice. Be informed. Find networks that constantly nurture your teaching. Discuss how education has evolved. Challenge others to advocate for necessary change in education.